In the United States only those with money can get justice. There is no justice for the poor and the lawyers assigned by the state to defend those without the finances to retain their own lawyers in reality only serve the interests of their bosses, namely the state. The inability to get justice or to be treated with the same respect as the rest of the population is particularly acute for marginalized indigenous peoples whose only avenue for redress against wrongs inflected on them by the state and its agents are in the very courts those guilty of crimes against the Indians control. Tekarontake an elder with the Mohawk Nation spoke to the Voice of Russia about a case that has been dragging through the courts for 17 years and one that saw armed state police beating Indian women and children. The Indian victims have refused to settle out of court, but the cards are stacked against them as the state does what it does best, protect its own criminals. Robles: It is a pleasure to be speaking with you. I understand there is a very important case coming up in New York. I was wondering if you could give us some details on that, please? Tekarontake: Back in 1997 the State of New York was trying to impose taxes on the indigenous people within their native communities that were, what they considered as, part of NY State. But our people have always retained who we are. We have never alienated ourselves from ourselves, but we have always continued to be as we were from the beginning of time. We have never freely accepted to be part of the State of NY or the US, or of Canada. We continue to remain as part of our own respective nations. And so, we opposed taxation on our people. But some of our councils who are considered federally recognized. Federal recognition simply means that these people have willingly and freely accepted to comply with all the laws, rules and regulations of the US and the State of NY. These are the people who are considered our leaders, but they are the leaders only in accordance to the Government. But among the people, among the population, they are not. They are basically what people would refer to as puppet governments. And they had entered into a taxing compact with the federal government of the US, the State of NY and themselves where they would share the collection of the taxes from our people. But our people opposed it and by the thousands we rallied and we showed our opposition to such an act to be implemented upon us. And so many of our territories shut down highways and made bonfires and so on to continue to show our opposition until one of our communities which are Seneca, in western NY west of Buffalo, got assaulted by the state police and the people fought back and the state police got the worst part of the confrontation. And it was all like hand-to-hand and the state police were overpowered, and they were very humiliated during that whole scuffle. So, our people continued the tax battle. Then there was a gathering called for, which was for ceremony and was just basically a social gathering where women and children and families, some of the men came together at one of the territories called Onondaga near Syracuse NY. And some of the councils and I guess some of the officials of the NY State, and the state police decided that they would seek revenge for what happened to the state police. Robles: I’m sorry, these were the NY State Police, right? Tekarontake: The NY State Police. And they came in. Most of the people who were gathered were women and children and old people, like grandmothers in their 80s and so on. And there were only maybe 20 men varying in ages. Some of the medicine people built a fire and they started to do ceremony. And just then well over a hundred state police showed up with helmets and shields and clubs and so on. One of the men went over to talk to them and ask them what their purpose was and not one of them would respond. And they all removed their name tags and so on. From my understanding they are supposed to wear name tags, but they didn’t or had them hidden. And then, without a word they proceeded to cross the highway and to come at the people. And the people, nobody was resisting, nobody was saying anything but just standing there women and children, everybody. And the police came in and started swinging their clubs and hitting the people as they came forward. And they shut the highways down and just came in, and started beating up on people. They severely beat up many people babies, women, children. They didn’t separate who they were going to do, they just did everybody they could. Robles: Babies, you said?!?! They injured babies?!?! Tekarontake: Yes! One baby we had was in a stroller in a body cast and they just knocked that stroller right over. And maybe a good thing that the baby was in a body cast, otherwise we don’t know what would have happened to the baby. They beat the mother. They just beat up a whole lot of people. I myself was there and I got arrested along with, I don’t know how many of us, about 50 of us. They took us all up to jail. For a most part I myself and others were trying to get the children and women to safety and sending the young men away so that they wouldn’t get hurt and that. And so, they arrested men and women and even some minors, and took everybody to jail. Now, this whole incident was on tape. TV reporters were there and even the TV reporters were attacked and assaulted by the state police, because the state police was yelling at them not to film and they took their film away from them and so on. But the news agencies were able to get a court order and had the state police return their film to them. They tried to take whatever film they could away from our people. But fortunately some of our people were able to keep the films. Now, some attorneys came and said they want to represent our people. So, a firm of lawyers out of NY, a firm out of Syracuse took the other half and we filed a lawsuit against the State of NY and the state police, because we didn’t want them to get away with it. And if we allowed them to get away with it, then they will continue to use this type of abuse against our people. But we wanted this to be really publicized and so on. And so, the State and the state police decided to try to settle this out of court. But they told us “no”, that if we didn’t accept the deal, that it would go to court and we probably wouldn’t get a dollar, or maybe that was all we get is a dollar. And judge who was retired lectured us, telling us that we were going to lose and that the jury that would be chosen, would be chosen from upstate NY and they usually rule in favor of the police and so on. You know, just telling us everything that was going to happen and that we were going to lose out in the end if we go to trial. But even though many of us don’t agree with the court system and we don’t recognize it. These are not our courts and we would never get justice in these courts. Robles: Right! It is the white man’s court, it is the white man’s crime. I mean, they are not going to find against themselves. Tekarontake: No, they won’t. And so, now the attorneys are saying that those of us who don’t accept the deal, they don’t want to represent us, they only want to represent those who wanted to accept the deal. And now, they are saying that if we wish to proceed, we have to represent ourselves or get another lawyer and it costs all this money, knowing that most of the people just don’t have that kind of money. So, in other words, in the US, in the State of NY, if you have no money, then there is no justice. Basically, you pay for your justice. So, it’s been 17 years and this can’t get resolved. And they are telling us that the whole trial is going to cost about $6 million and if we settle it out of court, they would give us $3 million and sweep this under the rug as though it’s never happened. Robles: And that happened 17 years ago? Tekarontake: 17 years ago and we still have not gotten any result to what happened. Robles: It is now just going to court or when was this settlement offer made? Tekarontake: This settlement was offered about two years ago. And it’s been dragging because some of our people will not accept the deal. And now more people won’t to accept the deal. Some of the people said they would accept the deal only because they thought that this is what everybody want. And many of the people are very poor, and maybe this will help them. But as we got to speak more to each other, we all found out that we are not all in favor of the deal, that we were just doing it because we felt that were helping the others. But now we find out that half of the people don’t want a deal and they want to push this issue forward. And so, many of us are going to maintain that we are not going to accept this deal. We are supposed to receive a letter from the lawyers telling us that those of us who don’t accept the deal, that we are on our own. And so, I was speaking to Kahentinetha and I said: “Well see it shows that these lawyers, they came after us to represent us. And the lawyer is supposed to work in accordance to what you want, not what they want. Tekarontake: Now the lawyers are angry because we are not allowing them to make our decisions for us, that we have a mind to make our own decisions and that money is not the important thing to us. And so, now we are supposed to receive this letter that they are officially dropping us. I spoke with Kahentinetha and told her that my mind is that, to me it is not fight it in the court, but to go to the public, use the media and expose what has been going on, because if this would have been white Americans, the State of NY will be looking at $50 million or $100 million lawsuit, not $3 million, and the people who were guilty of this whole situation would be held accountable. But because we are native people, we are not their priority. They are willing to just insult us, insult our intelligence and to continue what they’ve always done which is totally disrespect us and throw us a bone with no meat on it. And they are telling us that if we accept the deal, that we can never go after anybody who is responsible, that we can’t ask for the names and to expose who the people are, who are responsible. But that’s what we want. We want the people who are responsible to be held accountable. Why allow the criminals to get away? Today Obama is making speeches and so on, and saying that the President of Russia has no right to go into people’s territories and to occupy their lands, and to push their will on these people and so on. Robles: That’s ridiculous! I'm sorry, but it is disgusting, it is horrible. It makes me feel sick to watch. Tekarontake: Yes! And everything Obama is saying is exactly what the Americans have done. You know, the British have done this (The Americans are still British! ), they can call themselves Americans, but they are not Americans. They are still British. They are still part of Great Britain. Canada is the same. Australia is the same. You know, all of these countries they say they colonized. Well, they have not colonized them. Because colonized means that these are conquered territories. The thing is that they haven’t conquered anything, they stole them. They’ve never had a war. We have never forfeited or given up any of our birthrights to the invaders. And that shows what they are. They are still invaders. They can lie to the world what a just country or what a just people they are, but their whole existence and their whole economy has been based on nothing but wars. They supply guns to both sides of a dispute. And that is their whole history – divide these people, make them fight and then, after, you walk in and conquer them. Robles: I’d like to comment. You said they are British, but they were the dirtiest, rottenest, filthy, unwashed, murderous outcasts and garbage of British society. They were the ones who were expelled from Great Britain. You know, they never washed. They were drunken pigs. And they just started killing the native people. Tekarontake: Yes! But because of their religion. Their religion gave them the right to do it. Robles: It gave them the right, because the Catholic Church was supposed to get – what? – 5%. Under the Doctrine of Discovery they were supposed to get 5% of the gold. Tekarontake: I don’t know what the percentage was but I do know that the Church was behind it, just like the Church is behind so many things yet today. Robles: The church is still… It has never been rescinded! I am sorry to interrupt. The Doctrine of Discover is still an active document today they have never rescinded any of the orders to annihilate the Indian people. Tekarontake: That’s right! So, this is what they still continue to this day. You were listening to an interview with Tekarontake – an elder with the Wolf Clan of the Mohawk nation. That was part 1 of a longer interview. 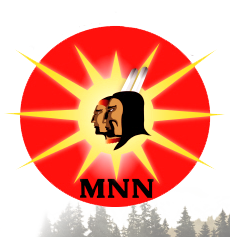 The situation in Ukraine and the policies of the United States internationally with regard to sovereignty, resources and force all have their origins in the founding of the American state on the genocide of the native people and the stealing of their resources, says elder with the Mohawk Nation Tekarontake. Hello! This is John Robles, I'm speaking with Tekarontake – an elder with the Wolf Clan of the Mohawk Nation. This is part 2 of a longer interview. You can find the rest of this interview on our website at voiceofrussia.com. You are listening to an interview in progress. Tekarontake: You can travel all over North America, one of the most wealthiest lands in the world, and yet native people are at the bottom, are stilll the poorest, in just about every one of our communities, those are the only places where socialism is encouraged. Where our people as individuals, we don't have rights. Only though the corporations that have been established on our territories called tribal councils and band councils that the government recognized, they are the only ones who have the right to make business, control business and so on. And our people are just peasants. Our people have no rights. The thing is that they give the corporations tax exemption and they are telling our people that we are tax exempt but yet they are trying to tax us. The thing is that what they did was – we are a nontaxable people and that's our birth right, but they want us to give up our birth right for a privilege they call tax exemption, because if they can give you that exemption, they can take it away. They want us to alienate ourselves from who we are. But we are not willing to do this. And the thing is that they've stolen so many of our children and put them into residential schools and brainwashed, and took the Indian out of them. And many of the people today, they don't know what their rights are. They are only now finding out because those of us who have never relinquished this, we continue to fight this and a lot of us are not part of the corporation. Most of the people that are part of corporation, they don't even understand what any of that means. They think that being part of the corporation makes them an Indian. But that's how much the government has confused the people. There are those of us who continue to adhere to our traditional ways and maintaining the birth right that we've always had, we are continuing to try to educate our own people, as well as the non-native community as to what is really the truth, what is really going on. So, we continue our stand on this and we maintain our principles and our philosophy. And again we are faced with this situation with the State of New York. Just a couple months back some of our men were charged supposedly with running an illegal gambling establishment. But there was nothing illegal about what they were doing. And even the federal government and the state admitted that there was no wrongdoing. But they used the corporation to push the issue and got a district attorney to support it and took these men to court. And the state lost. The jury acquitted these men and said that there was no wrongdoing. Robles: I'm sorry, can you... for our international listeners because a lot of people don't know about the situation with gambling, and tobacco and alcohol tax exemptions and stuff. Can you explain a little bit about how that is on the small areas of land where the indigenous people have been trapped? What their laws are regarding gambling and stuff? Tekarontake: You see, there was no law against any of these things. There was a case, I believe it was in California, where the court said that the governments had no right to tell our people that they couldn't do these things. And a lot of this gaming industry and tobacco, and all that, it wasn't something our people thought up. Our people always had tobacco. We traded tobacco, we had different types of tobacco, some as trade goods and other tobacco we use for our ceremonies. So, when the Europeans landed here, that was one of the things our people offered as a trade good, tobacco. And in fact, it was the tobacco that financed the American Revolution. The thing is that it is not so much the businesses we do. The thing is if our people are going to do a business, and the outside has their hands in our business, then it is okay. As long as the outside get their cut, like the state and the municipalities and the federal government, if everybody gets their share of it there is no problem. But if our people do a business and the outside gets no share of it, then they call it illegal. Basically, it is mafia tactics that they use against our people. Robles: I'm sorry, let me expand on that from there. We are seeing mafia tactics. If I could, give me a minute here. I'd like to expand on that because it's been bothering me for a while too and it is not just against the native peoples, it is their global policy against everyone. And it is like they've gone insane. I mean, this mafia tactic, now they are threatening the Russian Federation with sanctions, they are threatening other countries with bombing them, they are threatening everybody in the world with something, if they don't give up their resources and give up their sovereignty, and give up their rights. Robles: And I think it's come to the point where they've gone insane. I don't know what do you want to call it. This delusional exceptionalism they have. They've kept subjugating our people in the US, the native American people, the indigenous peoples, the black peoples, the ancestors, the slaves they treated like dirt as well. That's been contained, but I think that's now spreading outward. And I think now the world in general is starting to see a little bit of the real beast that is…I don't know what else to call them, this cancer that has inhabited North America for..
Tekarontake: It is for over 500 years. Robles: I mean, the same thing with the sanctions. We are going to take away this unless you give us this gas. You are going to buy this. It almost made me sick a couple days ago to hear Obama say, I don't know if you heard this quote, he said "we are blessed with such wonderful resources." I'm paraphrasing. He said – we are blessed in this country with resources, we want to sell to Europe. And they are telling Europe – you can't buy Russian gas. Russian sells gas to Europe very cheap. And he says – we are going to give you "our" blessed resources. I'm just thinking in my head – those are stolen resources. You are not blessed with anything. Tekarontake: That's right! The thing is that everything the US and Canada, and all the countries in the western hemisphere, the resources that they claim they own, they don't own it, it is what they've stolen. They stole it from the indigenous peoples of the Western hemisphere. And yet the poorest people in the western hemisphere are the indigenous people. And they are telling us that we don't have a right to any of this stuff and that this is theirs. They make a law and then they legislate it, and they say – well, this is the law. When they came to this land, our people extended a hand of friendship. We extended to them what we call the Two Row Concept, meaning that everyone should treat each other with respect. And we told them that we would never interfere with their language, their laws, their customs, their traditions, their people or any of these things. They were free to exercise all those things. But the thing they needed to always keep in mind is that this land here is our Mother and that our Mother is a good mother, and that she would take care of them, but to remember that this is our Mother. And we told them that we will give you the right to go the depth of a plow so that you can sustain yourselves. But it is only to sustain yourself. It does not mean that we have given you the land, the depth of the plow. We allowed you the use of this land. As long as you follow the way of respect, there will be no issue. But as soon as they became large enough in number, as soon as they were able to decimate so many of our communities and our people with their diseases and so on, and put us in a state of poverty, and weakness, they moved in to try to take away everything else that we still had. And they are still trying to do that to us today. Robles: I'm sorry, if I could, because this is a correlation with what they are doing right now in Ukraine. Robles: What they are doing right now, they've gone in there and again they made the people believe that if they join the EU, if they join the West, their lives are going to be better. But all these agreements and everything, and these hidden agreements, they are going to completely devastate and impoverish the Ukrainian people. And the goal there is, again, the resources. They want to sell them gas, they want to make money of these people, they want the gas that is the Russian gas, they to control that, they want to control the territory of Ukraine. It is the same lying, stealing, cheating game, only now it is 2014 and they've become technologically more sophisticated in packaging their theft, but it is the same thing. Would you agree with that? Tekarontake: Oh, yes! That's always been the way of thieves. Robles: And they are not going in there and killing the Ukrainian people, they are getting these neo-Nazis, who they are also using and manipulating, to go in there and kill and terrorize the Ukrainian people. Tekarontake: Oh, yes! It is like a bacteria, it looks for a place to land. And it starts there and just going to work in its way till it engulfs the whole body, and destroys it, takes the life out of it. The thing is that they want you to resolve all of their issues. They'll talk about: it's a violation of international law. But the law can't apply to one and not to the other. They have not even defined anything. Every time they open their mouth, this terminology changes its meaning. Even the language changes its meaning all the time. And they try to acquire intellectual property rights even to people's language, so that they can alter the language so the language will mean something other than what the people know that it has always meant. There is not a thing that they don't try to take total control over. For instance, our people are the people who cultivated and created a thing called maize or corn. Our people have continued this agricultural life for hundreds of thousands of years. And now, today, companies like Monsanto claim that they own the intellectual property rights to this corn. 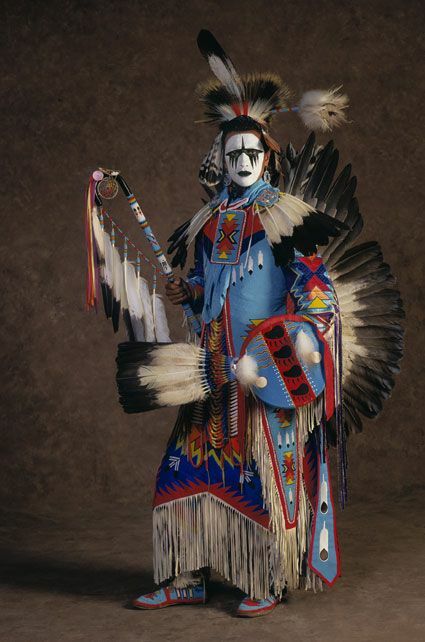 One of the native people, he grew corn and it just happened that Monsanto had a corn field not far away and they cross-pollinated. So, the corn kind of changed a bit and so Monsanto sued this native farmer saying that the corn he planted is their corn, because of the cross-pollination. It is ridiculous, suing a native for growing corn, corn that they have grow as far back as anyone can remember. Robles: Some day you need to sue them for growing corn, for eating corn, because it was the indigenous people that gave them corn and tobacco, and watermelons, and potatoes were not in Europe, tomatoes, certain types were only in North America, what else? Tekarontake: You know, the thing is that 75% of the world's diet originated out of the western hemisphere. 75% of the medicines that the world uses today also originated out of the western hemisphere. Indigenous people were using all of these things. And many of these things they cultivated, because they didn't grow naturally, like the different beans. There are hundreds of varieties of beans, hundreds of varieties of corn. Tomatoes were a poisonous plant, but our people cultivated it so it could be edible. There are just so many things. There are hundreds of different types of squashes and pumpkins. But the thing is that what the white man does is when he goes to your land and because we didn't do things the way he did, he starts to register these things, he patents these things, he claims he has the intellectual property rights to these things and he has the property right on this and that. You take a simple thing like aspirin. Aspirin in its natural form comes from the willow tree. And you boil that and you use that, and it takes away your pain and fever, and other things. Robles: That's a great example, because aspirin causes internal bleeding in your stomach. I can't take aspirin. Tekarontake: That's right! But if you took it in the natural form, it wouldn't do that. So, there are many medicines like this. Quinine…you know, there are just so many. And even many of the good things that our people did, like gathering and growing of hemp. Our people split the fibers of hemp and made cloth, they made ropes, they made other byproducts, oils and so on. And it was used for good purposes. And you have coca that's been used by indigenous peoples for centuries. And these things never caused the problem. Robles: Exactly! Look at Afghanistan. You were listening to an interview with Tekarontake – an elder with the Wolf Clan of the Mohawk Nation. That was part 2 of a longer interview.